Blackphone, the first privacy-centric smartphone to offer secure communications for users, is now shipping to pre-order customers. The device was first showcased back in January and came about as part of a collaboration between encrypted communications company Silent Circle and Spanish smartphone provider Geeksphone to help shield users from prying eyes. The Blackphone runs a forked version of Android called PrivatOS and comes with a hefty bundle of security-minded tools and subscriptions like Silent Phone, Silent Text, Disconnect, SpiderOak and Smarter Wi-Fi Manager. 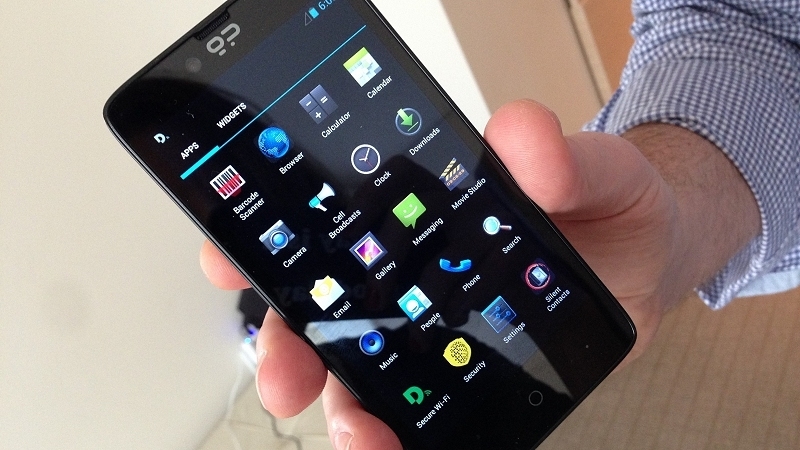 Hardware-wise, the Blackphone is nothing to write home about. It features a 4.7-inch IPS display operating at 1,280 x 720 with a quad-core Nvidia Tegra 4i processor clocked at 2GHz, 1GB of RAM and 16GB of flash storage under the hood. There's an 8-megapixel camera around back, a 5-megapixel front-facing shooter and basic connectivity options including Bluetooth 4.0 LE, Wi-Fi 802.11 b/g/n, a micro USB port and a 3.5mm audio jack. It's all powered by a 2,000mAh battery. Early reviews of the Blackphone seem promising so long as you know what you're getting yourself into. This isn't a high-end phone and it doesn't feature any of the Google ecosystem benefits. As a security device, however, it certainly seems to excel. Initial inventory of the handset sold out in the months following Mobile World Congress but fret not as SGP Technologies (the name of the joint venture the two founding companies created) will re-open the Blackphone web store to accept new orders on July 14. Expect to pay $629 sans contract when the opportunity arises next month.